Tim McKay currently serves on faculty at Howard Community College where he teaches applied percussion lessons, percussion ensemble, and the Fundamentals of Music theory course. Mr. McKay maintains a strong private teaching studio through HCC's Music Institute program, and he is the director of Drummin' Dragons, a week-long summer percussion workshop. In 2016 he was awarded the HCC Arts and Humanities Adjunct Faculty of the Year Award. 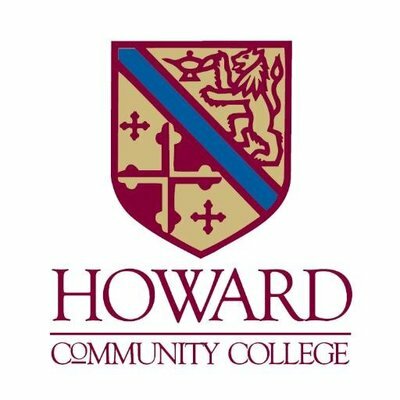 In addition to teaching at HCC, he is the long-time percussion coach of the Howard County HSGTO (High School Gifted and Talented Orchestra). An active clinician and educator, Mr. McKay has given clinics and masterclasses throughout the DMV, including the PAS MD/DE Day of Percussion, and has adjudicated Solo and Ensemble Festivals as well as regional and state-level auditions. Mr. McKay is a member of the Percussive Arts Society, the Vic Firth Education Team and the Black Swamp Percussion Educator Network. His students have performed in prestigious national programs such as the Juilliard Percussion Seminar, Sewanee Music Festival, Music For All National Percussion Festival, Midwest Clinic, Honor Orchestra of America, and Tanglewood. They have been accepted into the leading music schools and conservatories across the country including Elon, George Mason, Maryland, Michigan, Indiana, Northwestern, Cincinnati, Oberlin, NEC, and Carnegie Mellon. Mr. McKay performs regularly as section percussionist/assistant timpanist with the Apollo Orchestra, and has previously performed with the Kennedy Center Opera House Orchestra, Concert Artists of Baltimore, Mid-Atlantic Symphony, as well as the Annapolis, Roanoke, West Virginia, and Syracuse Symphonies. He has performed at venues across the country including the Kennedy Center, Strathmore Music Center, Baltimore Lyric Opera House, Meyerhoff Symphony Hall, The Hippodrome, National Cathedral, Getty Center, Merkin Hall, and the Cleveland Museum of Art. He has also performed with many DC area musical theater companies including Olney Theater, Imagination Stage, Studio Theater, Atlas Theater, Catholic University, and Montgomery College Summer Dinner Theater. In 2009, Mr. McKay performed the first movement of Christopher Rouse's percussion concerto Der geretette Alberich with the University of Maryland Symphony Orchestra alongside UMD alumni Lee Hinkle and Danny Villanueva. In 2012 he was named a Rising Star finalist at Howard County's Celebration of the Arts Gala, and he performed with American Idol winner Phillip Phillips for PBS's A Capitol Fourth celebration on the National Mall.